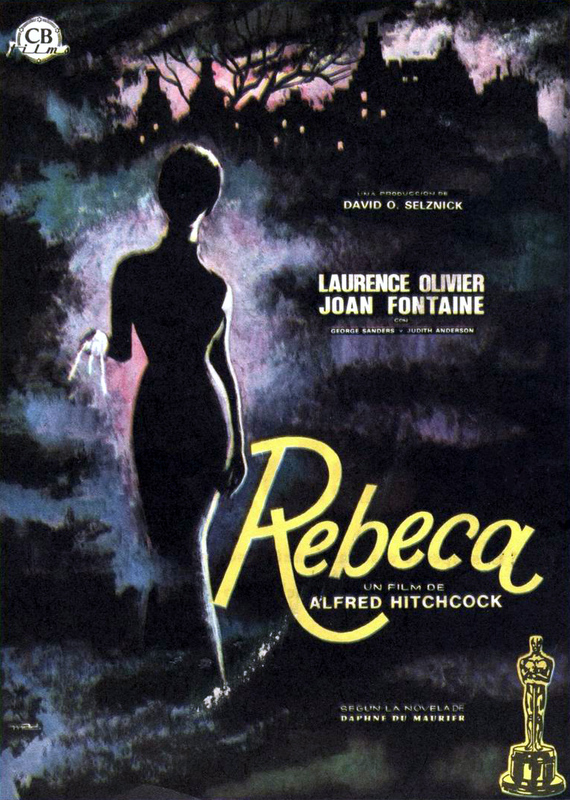 Continuing to work on the gaps in my Alfred Hitchcock film series, I pulled up Rebecca, the Academy Award winner in 1941. I heard the movie’s name mentioned during the Movie Trivia Schmoedown as the only film Hitchcock directed that would win Best Picture so I put it on the list. This was a well-deserving Oscar winner. The film was tremendous. I loved just about everything about it. The story was mysterious and engaging. The acting was wonderfully strong. The tone of the film had that suspenseful feel that was so obviously Hitchcock. The twists of the plot were well done and came from the story. It made sense even though you did not expect it. I really enjoyed this movie. Wealthy Maxim de Winter (Laurence Olivier) meets up with a shy and self-doubting woman and they get married. However, it appeared that de Winter has been carrying a flame for his dead wife, Rebecca, who died in a boating accident the year before. After they get married, the couple returned to his home, Manderley, where he had lived with Rebecca and where several servants still held loyalty to their former mistress. Joan Fontaine played the new wide, Mrs. de Winter, whose first name is never revealed. She does a great job playing that self-doubt that is really attacked by the staff, in particular, Mrs. Danvers (Judith Anderson). Mrs. Danvers, who was Rebecca’s personal housekeeper, was quite a creepy character who played on the young lady’s insecurities in her anger and jealousy. Then the story takes a twist that caught me off guard. I really enjoyed the twist and it turned the whole film’s narrative on its ear. The black and white film brought such a series of wonderful imagery that it helped play into the tone of the film. This is right up there with my favorite Hitchcock films.